Neuropaquell Review: Read Reviews & Complaints Before You Buy! Neuropaquell Review: Does It Actually Work? Read These Customer Reviews & Complaints Before You Buy! UPDATE: Although Neuropaquell is a good supplement, we have been getting feedback that some customers are getting better pain relief with this product. 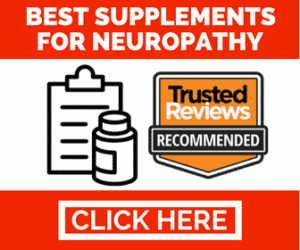 Not to be confused with the more expensive Neuroquel medication, Neuropaquell is a neuropathy pain relief supplement that uses high doses of B vitamins and nutritional support to treat nerve pain. It is similar in ingredients to Nervestra except it comes in tablet form. The product is manufactured by Quantum Leap Nutraceuticals and most of the reviews that the company has seem to be authentic. It has a grade B on www.fakespot.com, meaning that the company is likely to be legitimate and doesn't use nefarious review practices to hype it up by setting expectations that it cannot meet. The product has been around for several years and has continued to be popular. The biggest issue with the company is that the leading story about a retiree who received treatment using similar ingredients is supported by scientific claims his treatment used injections rather than capsule forms like this supplement. Their website is also rather a sales-bait hole with nothing but third-party reviews and pushes to buy which is a little suspect. Neuropaquell works by providing the body with added nutritional supplementation to help provide extra chemicals for the body to use on its own when repairing nerve damage. 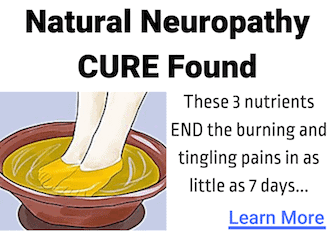 The theory behind this is that by flooding the body with what it needs in the most available form it will repair any damage and stop nerve pain. L-arginine is metabolized into nitric oxide which is a neurotransmitter and vasodilator. This helps improve blood flow to the nerves and also helps make the nerve messages clearer. The issue with this is that nerve degeneration is constant, especially as you get older, which means that this process has to keep going forever or the neuropathy will return. The company also advises that users combine this with infrared light therapy which in theory uses IR light to reduce inflammation. The supplement also contains antioxidants and herbal extracts similar to other neuropathy supplements which work by lowering inflammation. Skullcap is also thought to be effective for nerve issues because it is anxiolytic and anti-spasmodic, it also contains a nervine sedative which helps normalize nerve function. 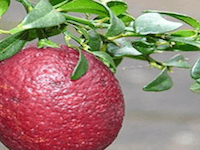 ALA is an antioxidant which affects the cells which carry glucose within the body and there is some evidence that shows it improves oxygenation and blood flow to the nervous system. 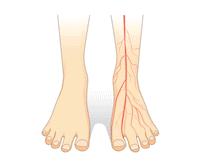 Studies have shown that ALA does have a legitimate effect on neuropathy. The main ingredients in Neuropaquell are a variety of B vitamins, alpha lipoic acid, and L-arginine. 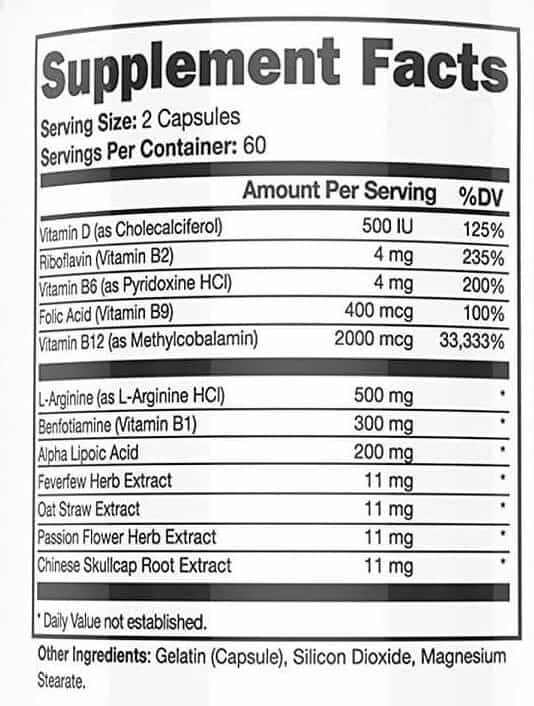 The B vitamins are B1, B2, B6, B9, and B12. B12 has also been shown to be an effective mood booster while B9 is effective for mental alertness and B2 is good for metabolic support. The supplement also contains vitamin D. ALA is an antioxidant and amino acid, it's usually derived from animal sources which is why the product is not vegetarian/vegan friendly. The main herbal ingredients are Feverfew, oat straw, passion flower, and skullcap. According to their website, these 5 herbs together have a synergistic effect that is greater than each of them individually. The main ingredients have proven scientific studies behind their effectiveness. Neuropaquell is another product that claims to have no side effects. Most of the ingredients are nutrients which the body needs, so it's understandable that such a claim could be true. In fact, B deficiencies are quite common but simply taking a B vitamin supplement could fix this much cheaper. The same can be said of vitamin D or going out into the sunlight for a bit. Most of the other ingredients seem fairly harmless but there is always a risk of allergic reaction if it's something you've not taken before. As far as the herbs, some of them do have side effects but they are very dependent on dosage. Since the product doesn't specify the exact dosage it's hard to tell whether you're risking side effects through overdose. Skullcap has the mildest side effects with giddiness, confusion, and twitching among them. Feverfew often causes side effects because it only takes a little for it to be effective. The mildest side effects are digestive upsets like stomach cramps, diarrhea, flatulence, and nausea, while the more extreme include weight gain, palpitations, and fatigue. Passionflower is a mild sedative which can cause dizziness and drowsiness, so caution should be taken when using this product at first when driving or operating machinery until you know how you react. L-arginine has some consistent side effects which, while not serious, are uncomfortable. This may cause bloating, gout, abdominal discomfort, inflammation, and blood abnormalities. The irony that this might cause inflammation while the product is supposed to fix inflammation is not lost. All the herbal elements have warnings not to use when pregnant or breastfeeding because of risk of miscarriage and some have a warning not to use for children too. All supplements should be discussed with a doctor first and any symptoms or side effects noted. This is another company that almost seems too good to be true. There are very obvious paid reviews in their profiles (same wording, same “problems” etc.) which bump up the positive count, so you have to determine whether these people are actually customers or not. Those that seem real certainly admit that the supplement does work to build up B vitamin levels in the body. Other customers find that the pills just bother their digestive system too much to be worth taking for long. Since some of the supplements do have digestive side effects it's possible that these would have gone away eventually anyway. The guarantee is 100% of the cost minus shipping and handling within a year from the most recent order. That means if you've ordered more than one bottle separately, it will only be the most recent purchase that gets refunded and not the whole amount you have spent with the company. On paper Neuropaquell looks much like any other nerve supplement, especially since the ingredients are eerily similar. The cheaper bottle price seems worthwhile but the fact that the company is willing to use paid, and therefore fake, reviews seems a little suspect if the product truly works. While the ingredients may actually help neuropathy, this shadows the product itself, so it may be worth choosing similar ingredients in a different bottle. If you want to make use of the guarantee it's best to order directly from the company with their website or over the phone. Currently the company offers a free 30-day trial for just $9.95 shipping and handling with a single bottle. Regularly the bottles are $64.95 for a 30-day supply. There is also an option to join the VIP Client Club which means you'll only pay $38.95 plus $5.95 shipping and handling for each bottle forever as an auto-ship program. There is no minimum purchase and you can cancel VIP at any time. You can also buy a 3-month or 6-month discounted supply without being a VIP. While you can occasionally find bottles on third-party sites like Amazon this isn't reliable and there's no guarantees how old the bottles are or if they're authentic. Neuropaquell is very much “just another supplement” as far as the ingredients and business practices go. The fact that their guarantee is so long is impressive, but there's nothing that truly stands out about their product. Nerve Renew is one of those that consistently sees positive consumer response and has actual documented results from that product and not just from the injectable version of the ingredients.